Simply Scrumptous Archives - Be Happy Dieting! These Low Carb Fat Free Double Fudge and Peanut Butter Brownies are simply delicious and healthy too! These low carb fat free treats are moist and fudgy in texture. Treat yourself without any guilt! 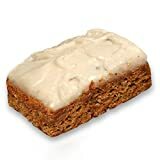 This fat free treat is a delicious snack with delicate spices enhancing the all natural flavor of this cake. Low in calories, it’s too good to resist.Topped with smooth, creamy frosting, you won’t believe the truly moist and rich flavor! Maintain a healthy lifestyle diet while treating yourself without any guilt! An irresistibly delicious low fat all natural cookie with no trans fats or additives. 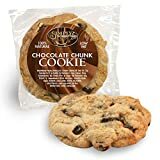 Baked with premium chocolate chunks and the finest all natural ingredients, these soft and chewy cookies are truly an amazing treat. So savor every delicious morsel while maintaining a healthy diet without any guilt!